Recently our local feed store was running a sale – on chickens. Buff orpington hens to be exact. Beekeeper Brian and Rachel figured that if we raise them until they lay eggs then we could sell them at a nice profit. So after just hatching 42 eggs, we bought 14 chicks. After all, who can resist a sale, right? 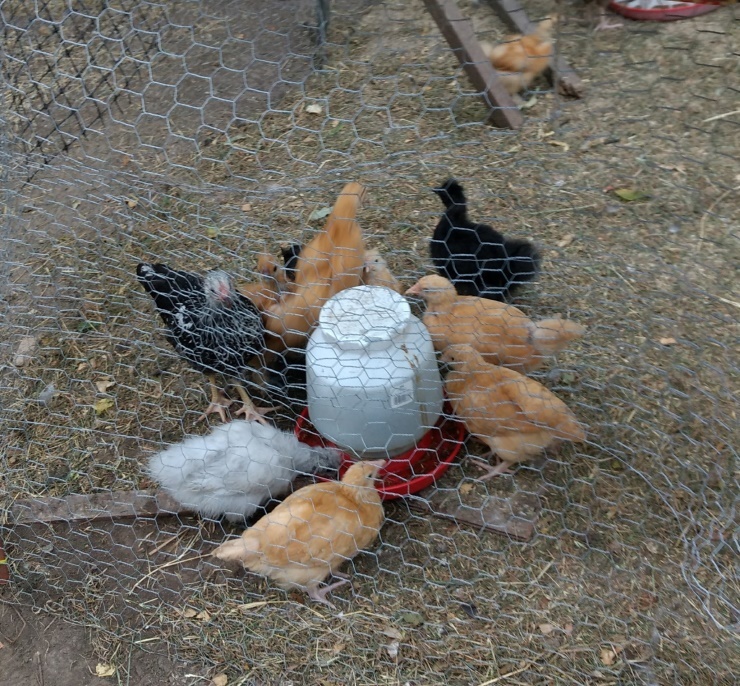 We put them in the grow-out pen with the other chicks. They are the four lighter colored ones. I must confess they are kind of cute. Not that I am getting attached. They are a business venture. They will be sold, they will be sold. I have to keep reminding myself. One of them is different from the others. 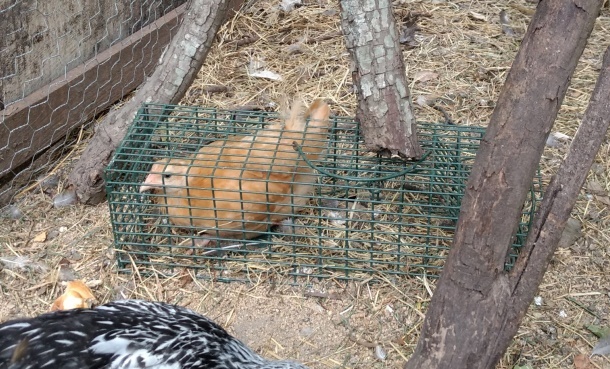 She managed to get herself into the live trap that Rachel had set for the baby possums that like to eat the chick feed at night. I know what you mean. I’ve learned the hard way. Foals grow into horses. They must be sold. Calves grow into bulls and cows. They must be sold. They must be sold. Well, maybe I’ll just keep this one….